Applications: Trizact 337DC is a synthetic structured abrasive which give rapid stock removal for its grade and maintains a highly consistent performance throughout its life. It has a faster rate of stock removal than Trizact 237AA and is this mainly offered in coarser grades up to A45 (equivalent to P400), which may suffice for a brushed finish on stainless steel handrail, for example. If finer finishes are required then these can be achieved with Trizact 237AA. 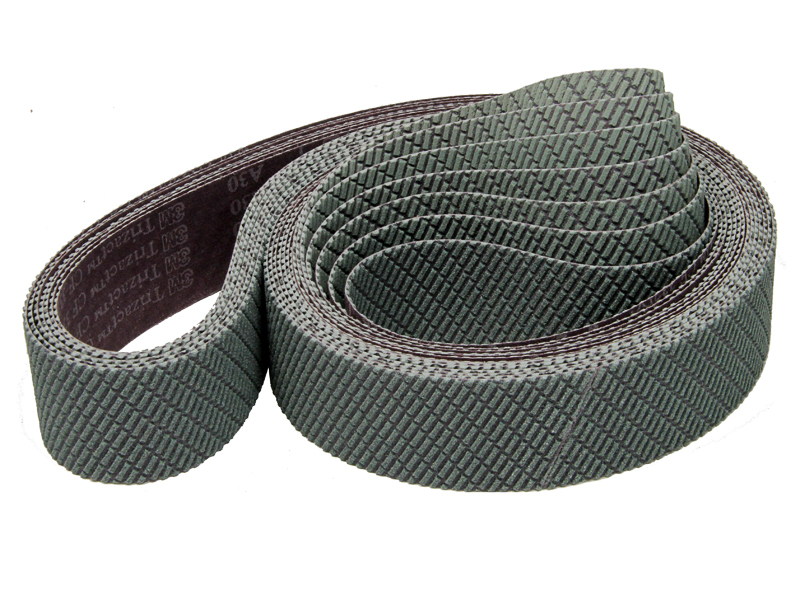 These belts are usually used with a tube polishing machine such as Finitube. Made with 3M Trizact 337DC abrasive material. Ground, taped and cured joints. Sizes shown are for Finitube machine. Made to order in batches of 10/grade.